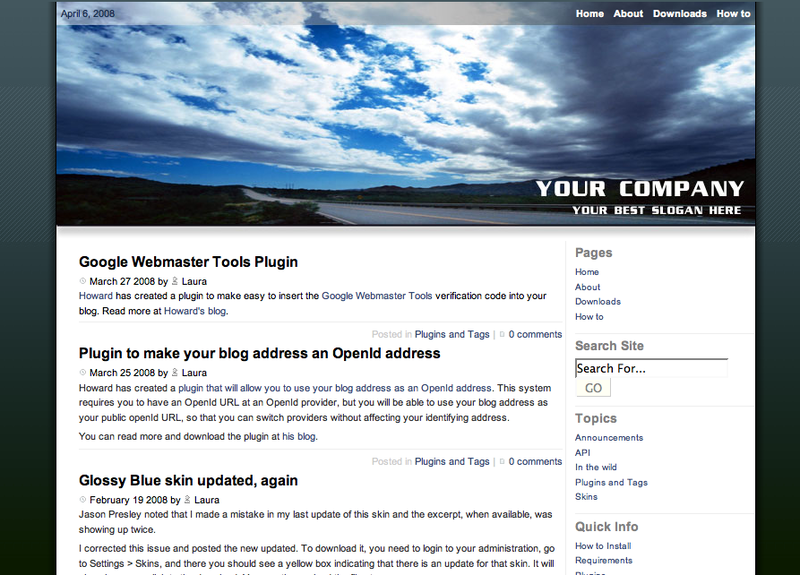 Blog owners have the ability to fully skin the application. Templates can contain html or any other text with the addition of special tags to indicate where dynamic content should be placed. Tags can be extended so that a template can have user tags that implement features not provided by the core. 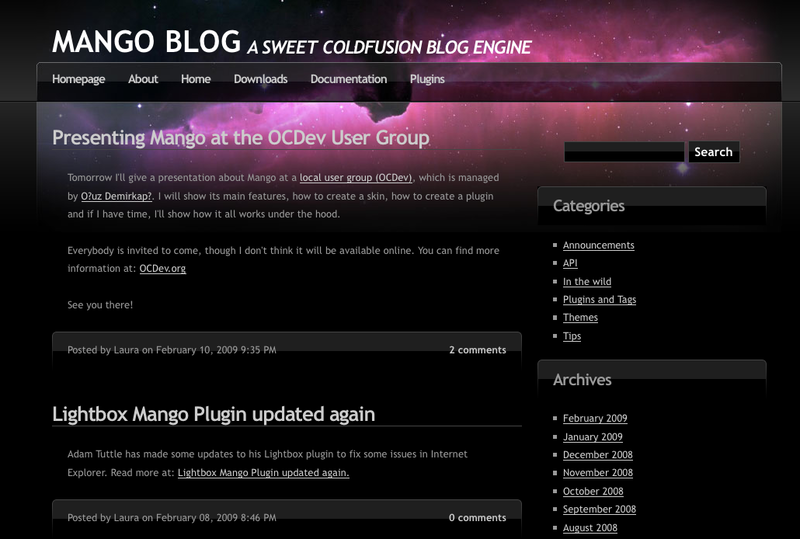 Core tags are denoted by the "mango" namespace. User tags can be added by specifying the namespace in the template and placing the code for these tags in a special directory. You can view the set of available skins in the Skin Browser. If you don't like any of those or would like to have a customized look, you can create your own skin! 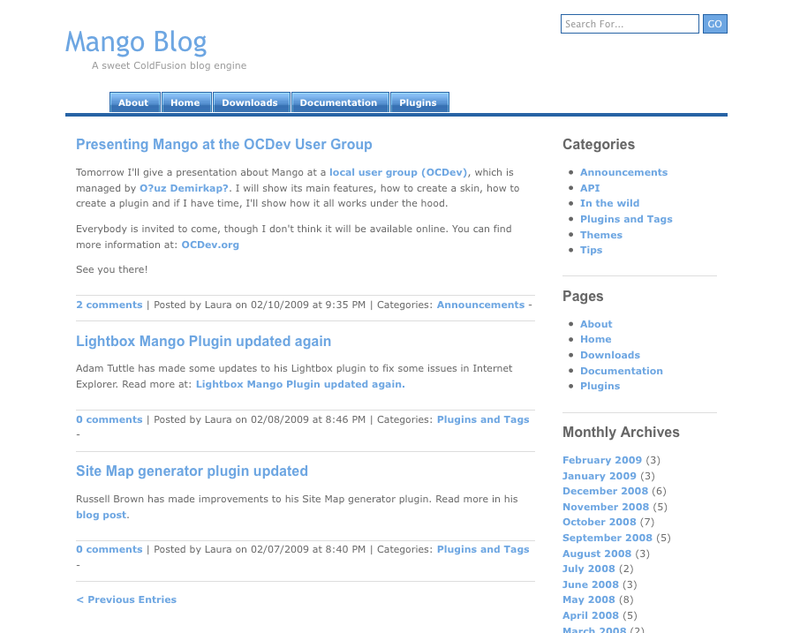 Mango already comes with a set of common plugins you can immediately use. The core engine announces events at various points during execution. Plugins that have registered to those events are called and given the opportunity to run their tasks. Plugins can be used to modify rendered output, keep statistics, implement user notifications, etc. 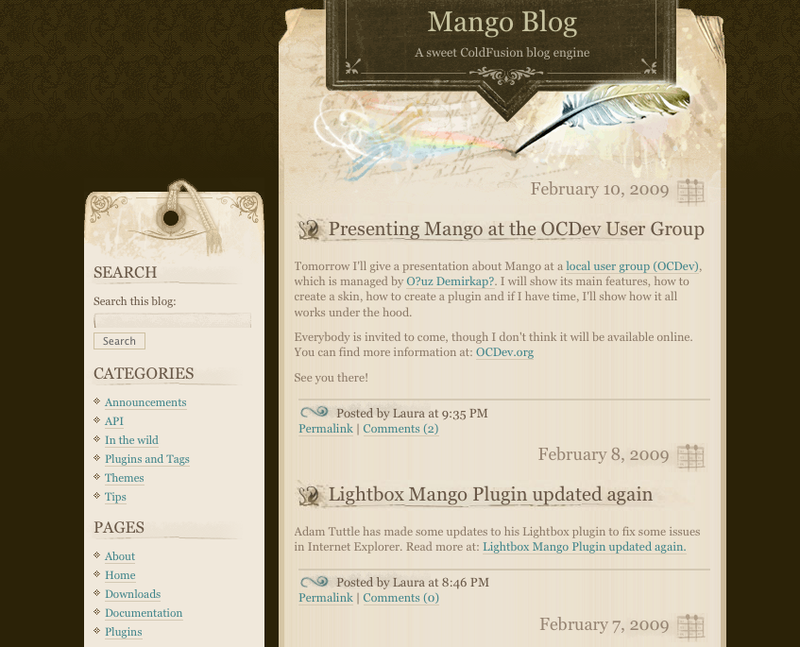 Plugins registered to the same event are given priorities that order their execution. 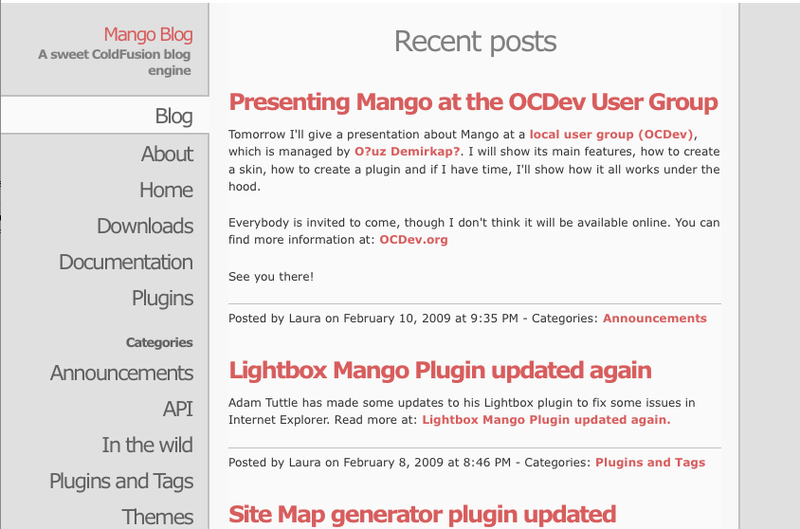 Plugins can also announce their own events besides those broadcasted by the engine. 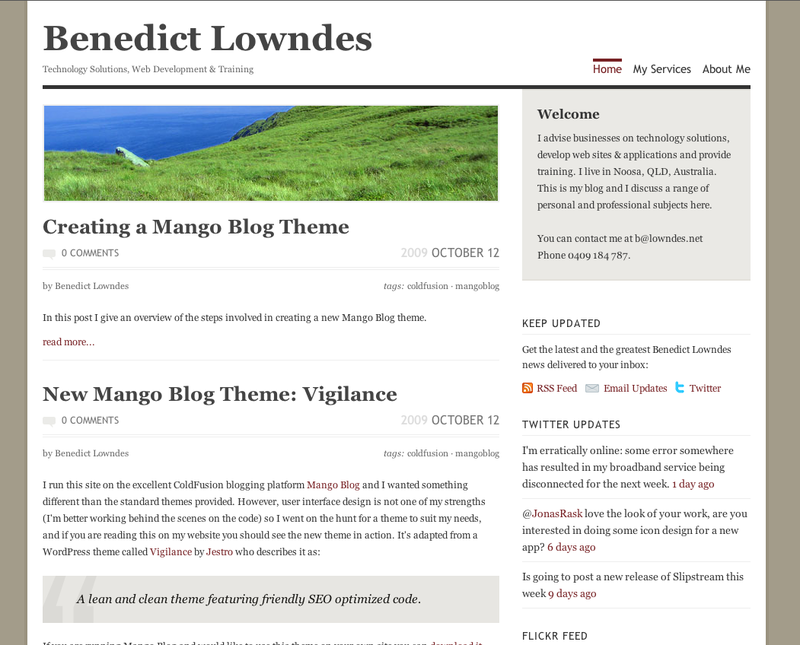 The chronological nature of a blog can make old content difficult to find. Moreover, content contributed by readers in the form of post comments can have valuable information but it is usually not included in common searches. 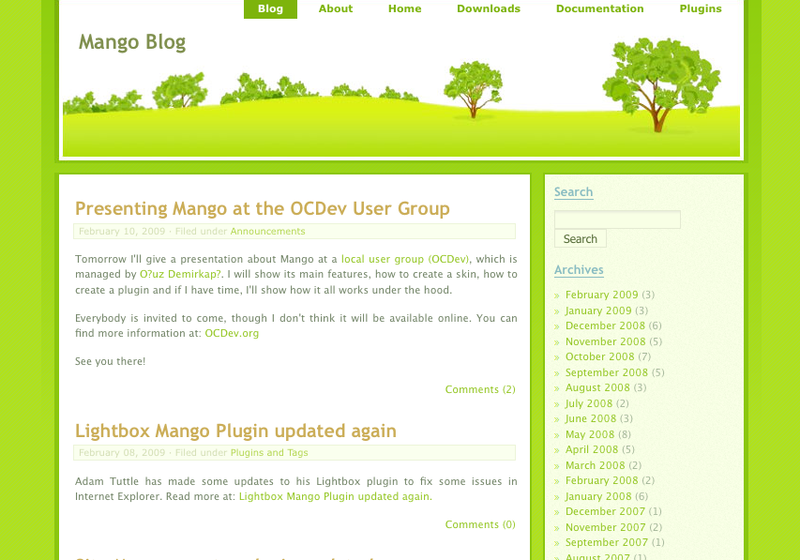 To address these issues, Mango includes full indexing of posts and comments, search by keyword and phrase, and boolean operations. Implementation of an open API to let external tools administer and retrieve data from the application. 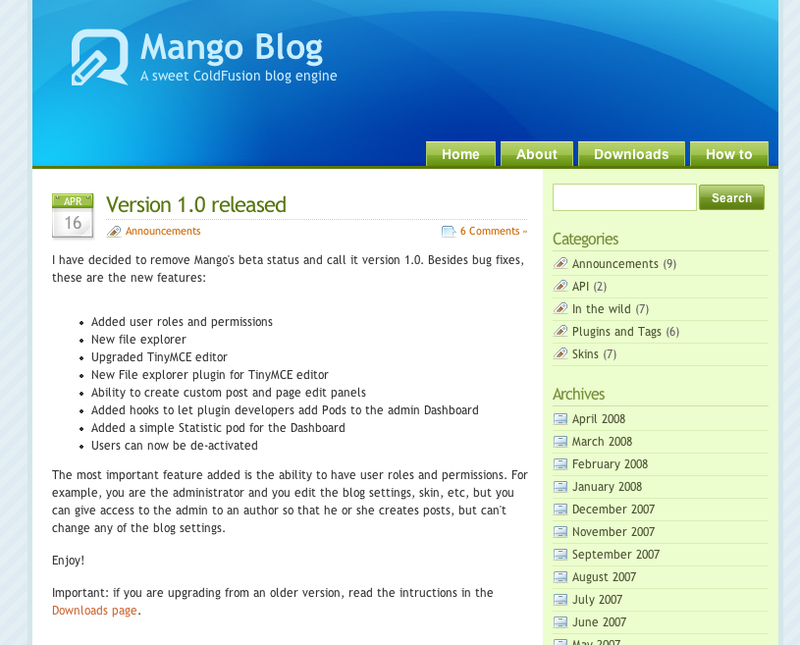 Mango implements Blogger, MetaWeblog and MovableType APIs. 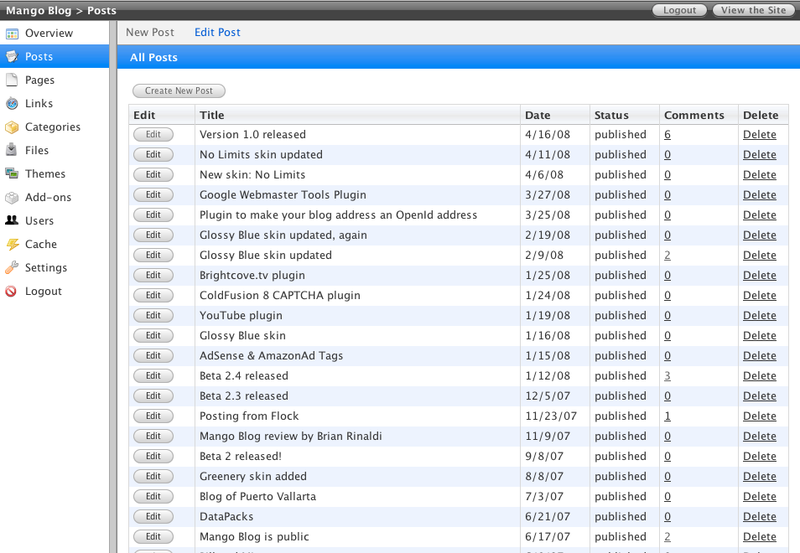 Password-protected area where authors manage posts, comments, categories, plugins and skins. 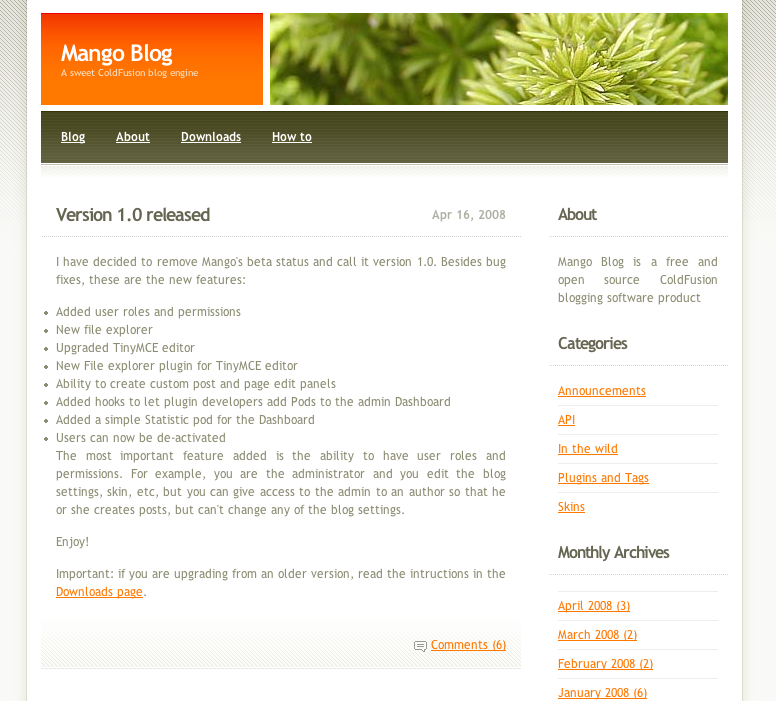 Because not every author should be able to change the blog's settings or edit other's authors posts, Mango has granular permission management by role. 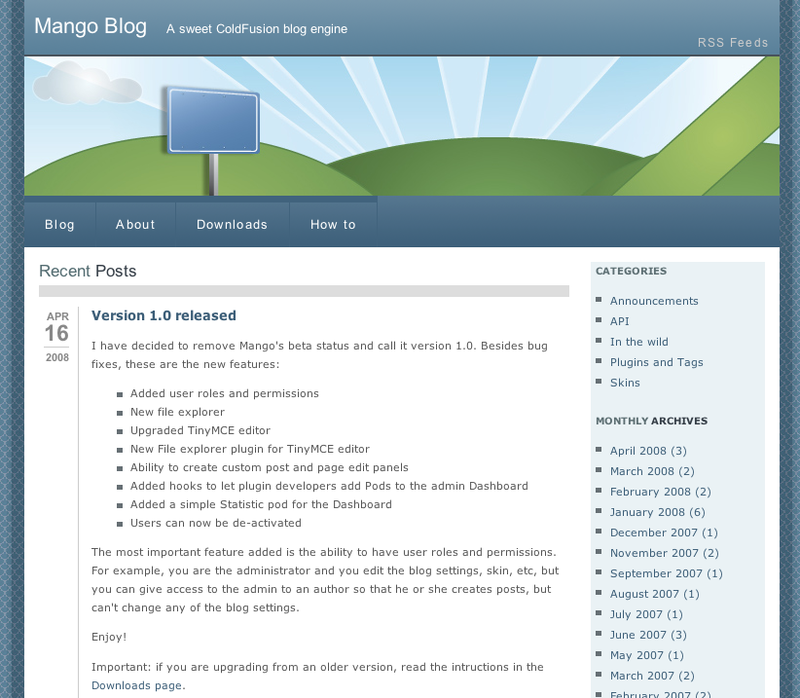 Standard RSS and Atom feeds. Readers can subscribe to all the categories (default), to individual categories or to multiple categories. Install and setup: creating the database automatically, entering first users, choosing a theme, etc with a wizard interface. "Static” pages: different from posts, authors can define pages that are not shown in the chronological order. Pages can have parent pages defining a hierarchy. This feature opens the option of using the application as a small content management system (CMS). Reader comments: Every post or page with comments enabled will let readers enter responses to that particular post. Commenters can subscribe and be notified when a new comment is posted to a given entry.